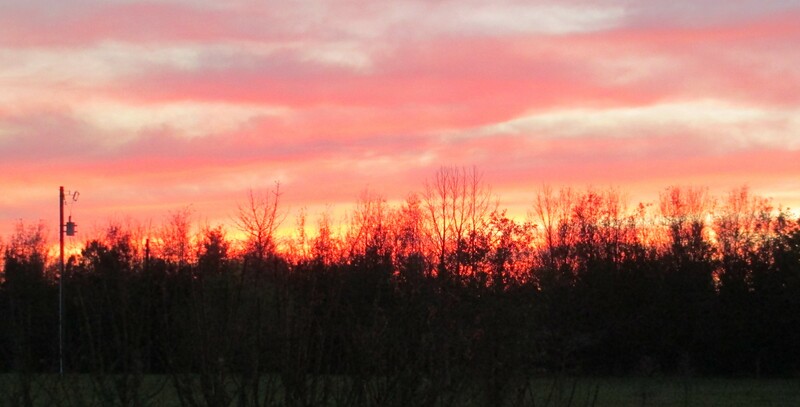 Yesterday a glorious sunset marked the end of a month of intensive work to create this site. Two ladies, Sharon and Amy, one on each coast of the country, worked their magic to create what you see on these pages. The questions flew between the coasts but we made it. Since I live on a farm, my rescue animals and I, Sharon had the wonderful idea of including my donkeys on these pages. After all they were already in some of my books. As are my dogs. Sunset might have ended the day but my work began with the dark. I am currently working with another writer to get his book ready to publish. I spent a number of hours reading his autobiograhy and can truly say I enjoyed every word. I love it when that happens. 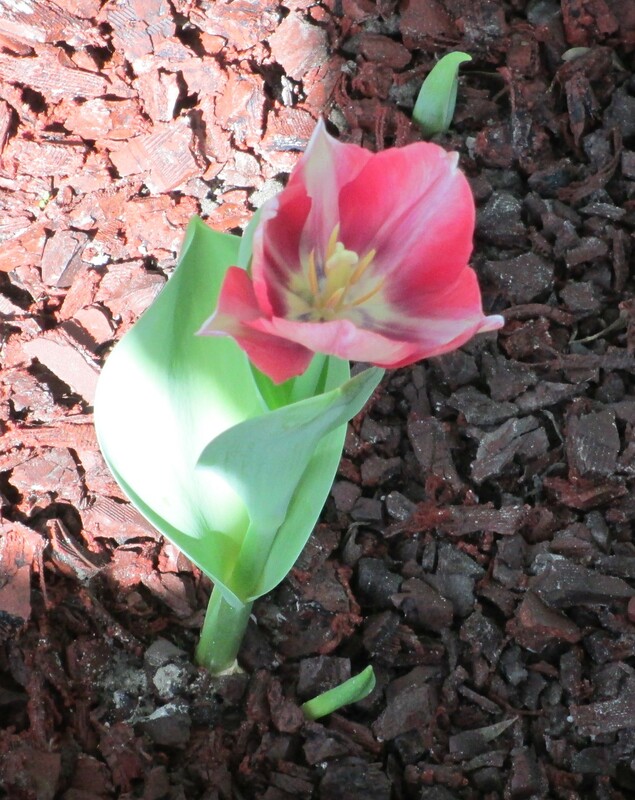 This morning, the tulips a friend of mine and I planted bloomed. With it came new ideas for Strike the Fire, the third book in the Live Oak Series. A stray comment about engagement rings got me thinking about Randi and Archer, (book one) are certainly in love but he is waiting for her to decide the life he can offer her will be enough. Now, Randi is not a woman to wait. So I guess she is going to pop the question, not all that unusual. But how she pops it is. Can’t wait to get this one down on the page. I’m laughing just thinking about it. Meanwhile, Lydia and Max, book three is their book, are circling, each trying to decide just how many lifetime rules they are willing to break. I am defintely going to have fun writing today. 8 thoughts on "A New Day"
Sounds exciting! can’t wait to read the new book! I am having the best time with Lydia and Max, not only their relationship development but being able to visit with Archer, Randi, Lucy and Alex again. Can’t wait to see how Randi pops the question! What about Lucy and Alex? Isn’t it about time they tied the knot, too? Any chance of a double wedding? Maybe Jay can be the ring bearer 🙂 After all, if not for him, none of this would have come together. Randi popped the question and threw Archer a curve at the same time. Loved the scene. As for Lucy and Alex, I am just adding in details of their upcoming wedding in Strike the Fire, Lydia and Max’s story. I can see Randi or Archer talking that donkey into marching down an aisle. He might just do it then wait for that moment when the celebrant asks, “Is there anyone….” I can just him braying his objections. I love your new website, very well done.. I am looking forward to hearing your idea about your up coming books. Delighted you are enjoying the site. Will be posting about writing and the happenings on the farm. If you are a writer I will also be posting some tips on our craft. Love the picture. Was it really as fanulous as it looks? Also love the floweer. Nature never fails to amaze me. Thanks for sharing. Spring on the farm has been really up and down with the temp changes. Will be really glad when summer comes.